Heidi switched on three lights: The bedroom light, the bathroom light, and the hall light. Then she kicked off her slippers and hopped into bed. She listened to her mother’s footsteps as they came down the hall and into her room. Heidi shook her head firmly. She always slept with three lights on. She also had two flashlights stashed in her nightstand—just in case the power went out. “Nighttime is FRIGHT time!” she declared. Then she hid under the covers. Her mother frowned and shook her head. “Someday you’ll think being afraid of the dark is silly,” she said. Heidi heard Dad shut Henry’s door. Then Dad came into Heidi’s room and sat down on the bed beside Mom. 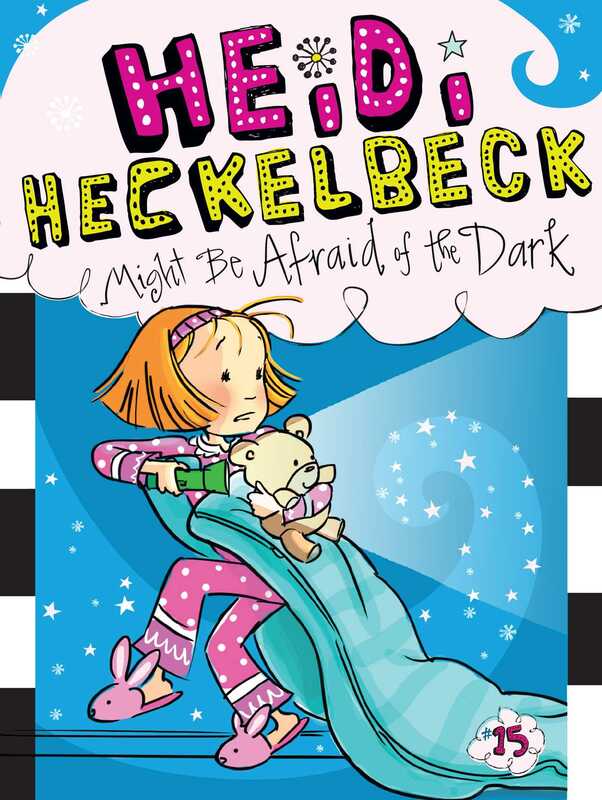 “Well, that’s a relief!” Heidi said, falling back on her pillow. She was happy to know there was something good about being afraid of the dark. “But you still have to get your imagination under control,” her father added.